The Rebel Sweetheart. 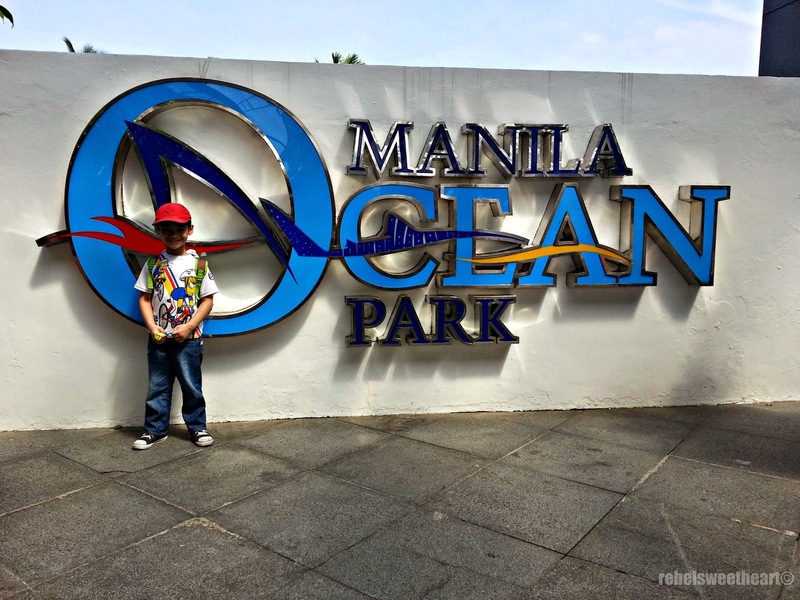 : A Visit to the Manila Ocean Park. Weekends are usually crazy fun whenever Mum is home. It's either we're out of town, or out of the country if the time and budget permits. As long as we're out of the house, that's fine for us wanderlusts. The little man has landed! 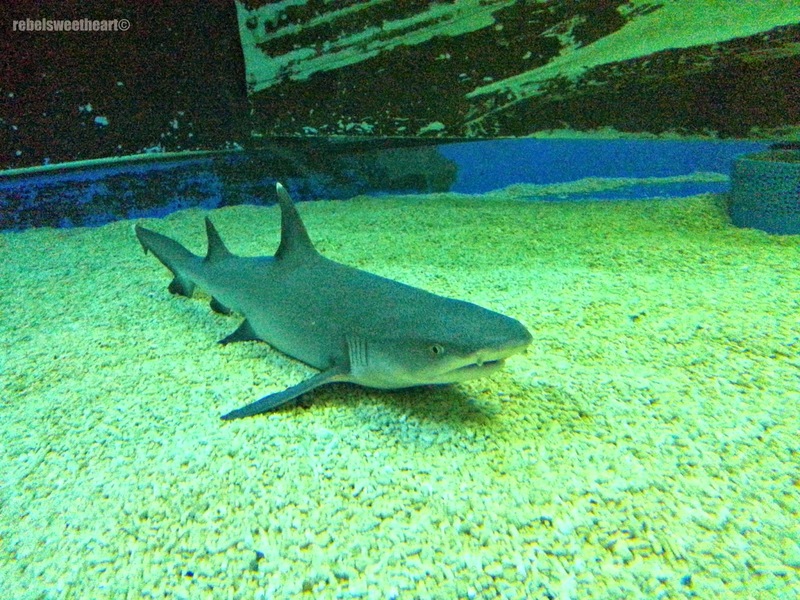 The country's first marine theme park, the Manila Ocean Park first opened to the public in 2008. (I can't believe it took us six long years before we finally visited, lol.) This 'integrated urban resort' features marine life attractions, educational facilities, shopping and dining amenities, as well as an aqua-themed hotel. 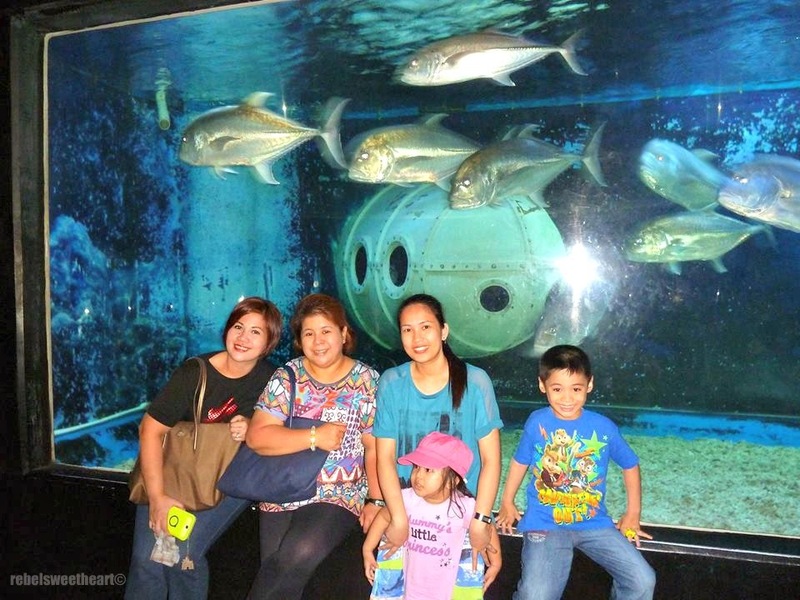 The Manila Ocean Park is open daily, all-year round. 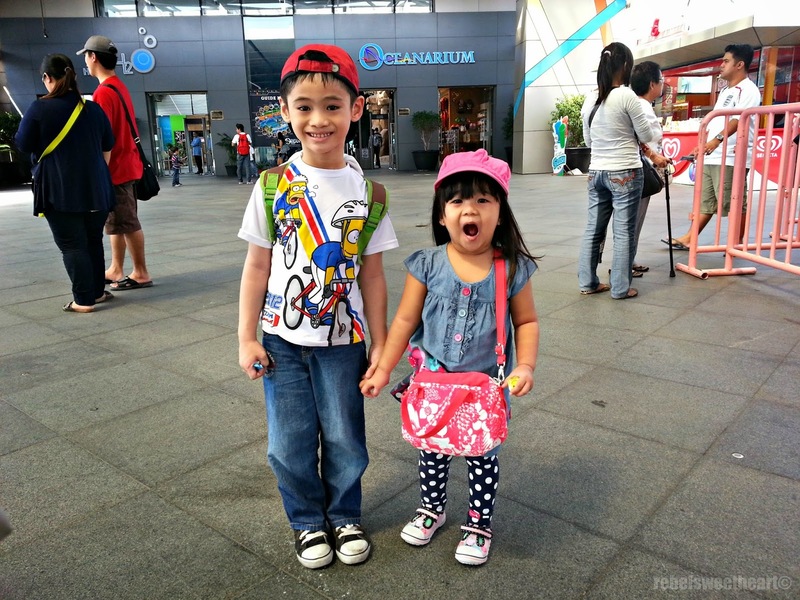 They operate from 10am to 9pm on weekdays, while on weekends, they're open from 9am to 9pm. 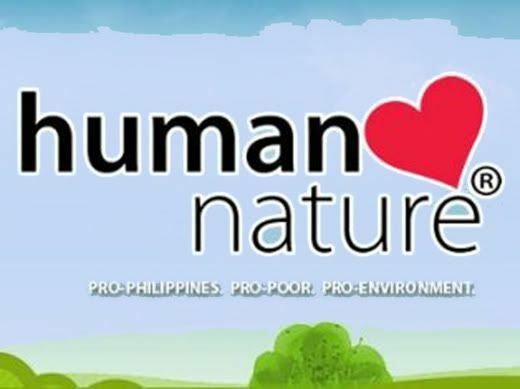 Ticket prices range from Php 400 to Php 1100, depending on the attractions included in the package. 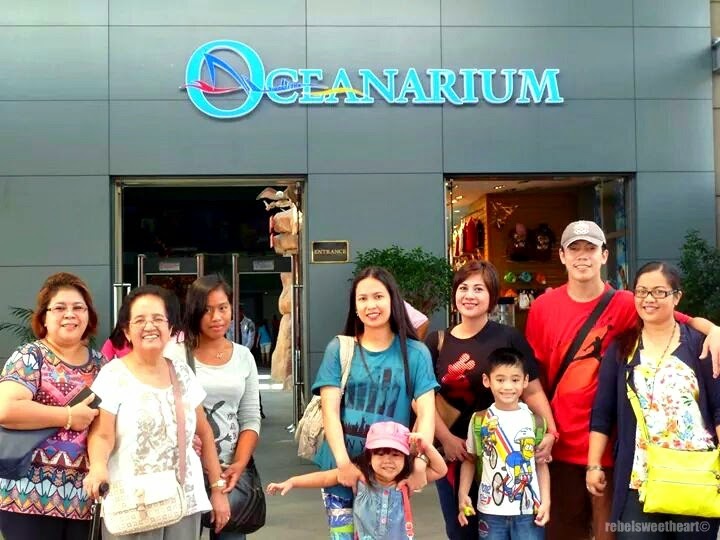 Out of the six packages available, we chose the Deep Sea Rush package (Php 550) which includes five attractions - the Oceanarium, the Jellies Exhibit, the Sea Lion Show, the Fish Spa, and the Penguin Talk Show. Our first stop (after what seemed like a thousand photo ops in the entrance and at the lobby) was the Jellies Exhibit, which features various species of these so-called 'dancing sea fairies'. This exhibit is like a scene from a sci-fi movie, with those huge cylindrical tanks and multi-colored lights illuminating the jelly fish. There's even classical music playing in the background which makes this attraction even more enchanting, as if these delicate sea creatures are actually dancing to the music. After being wowed by the jelly fish, we headed outside for the Sea Lion Show, which I reckon is my little man's most favorite attraction. The show, which runs for about 20 minutes, features the adorable sea lions from South America. Basking in the sun while waiting for the show to start. 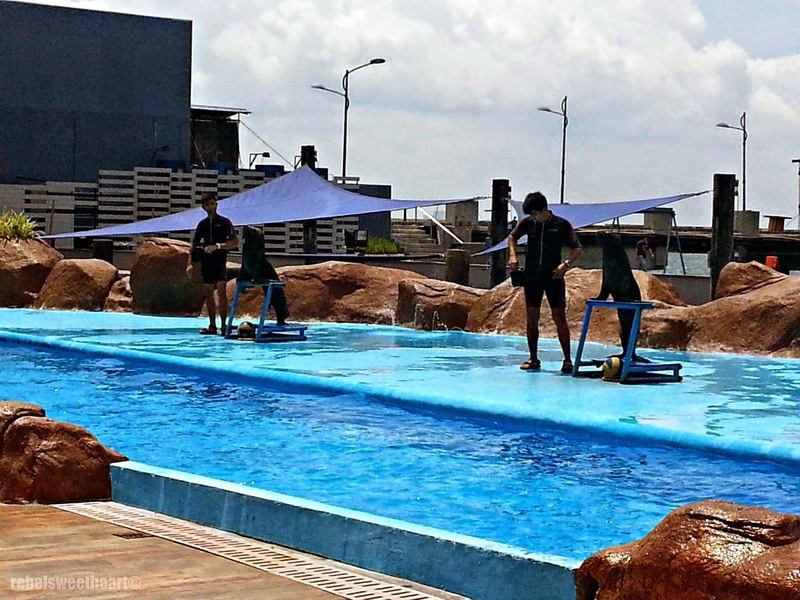 With the help of their individual trainers, the sea lions performed in front of the crowd, showing cool tricks such as clapping their flippers, shaking their head, playing with balls and water guns, and covering their faces as if to hide embarrassment. 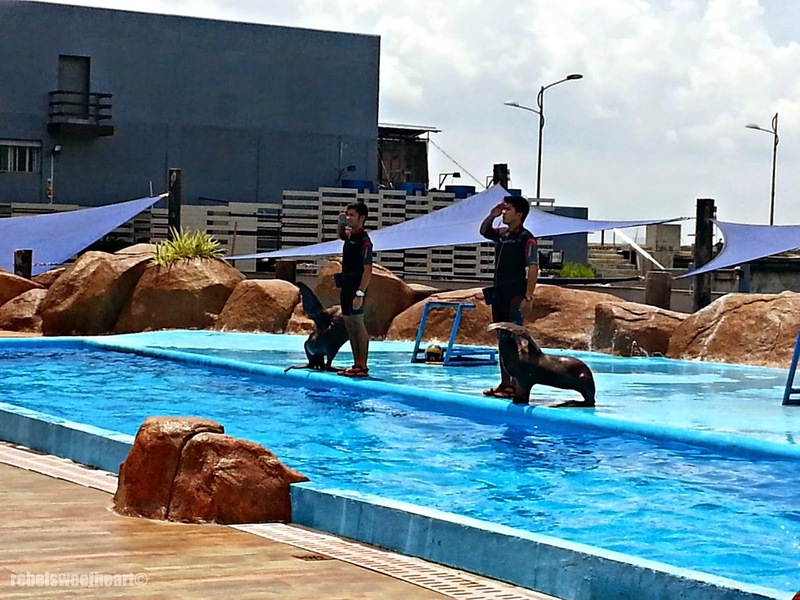 The sea lions and their trainers. These smart sea creatures can also stand straight and salute, and 'dance' by wriggling their back flippers and spinning round and round. The little man enjoyed the sea lions so much that he wanted to stay and watch the next show. That wasn't possible, of course, as re-entries are prohibited in all attractions. We were famished by the time the show was over, so we decided to have lunch first before visiting the other attractions. 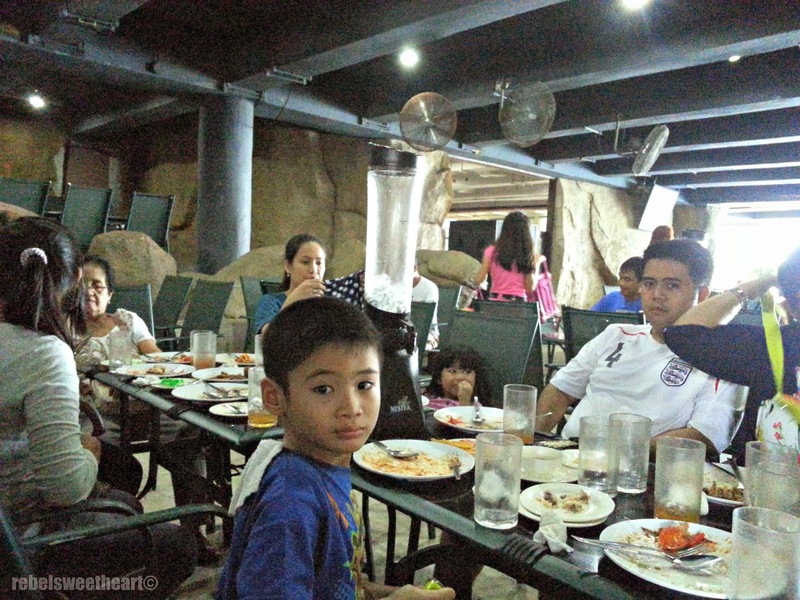 From the numerous food options at the Manila Ocean Park, we chose Liquid Pool + Lounge for their Eat All You Can offering. 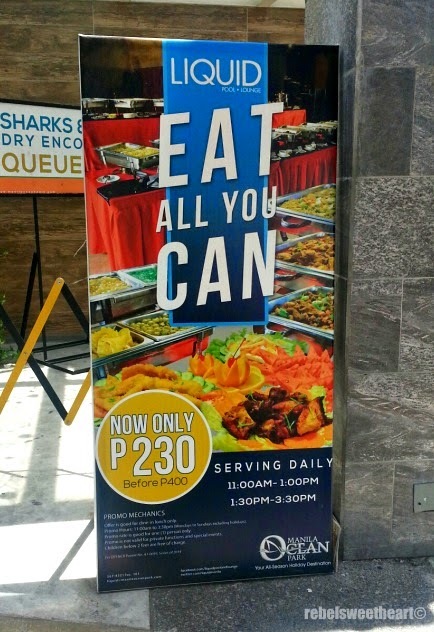 Now priced at Php 230 per person, the buffet features a variety of dishes for a full course meal. There's soup and nachos for starters, and noodles and pasta, too. For the main course, there are fish, chicken, pork, and vegetable dishes to choose from. And for dessert, you can choose from a variety of fruits in season, or the usual buko pandan and fruit salad. I must say, we enjoyed our dining experience at Liquid. The food was great, and the price was pretty reasonable, too. Definitely not bad for Php 230. 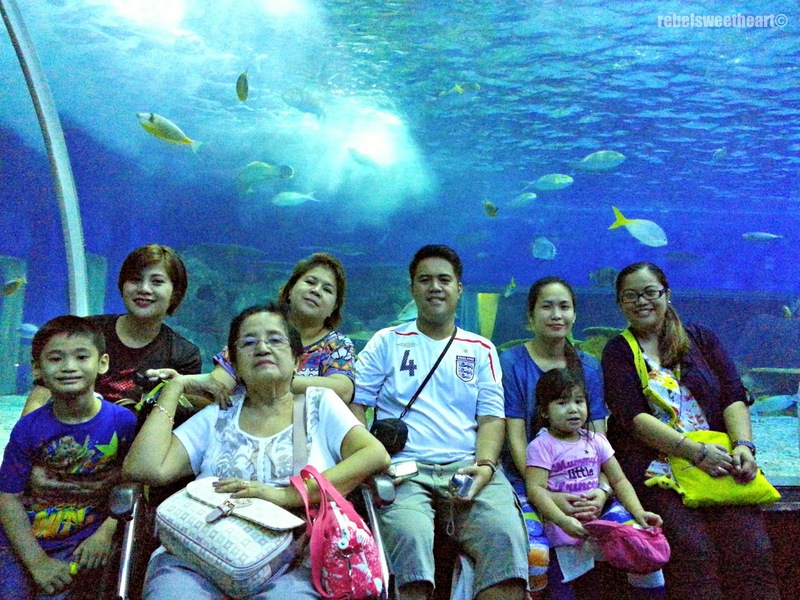 After our tummy-fill, we made our way to the Oceanarium, the most popular attraction of the Manila Ocean Park. 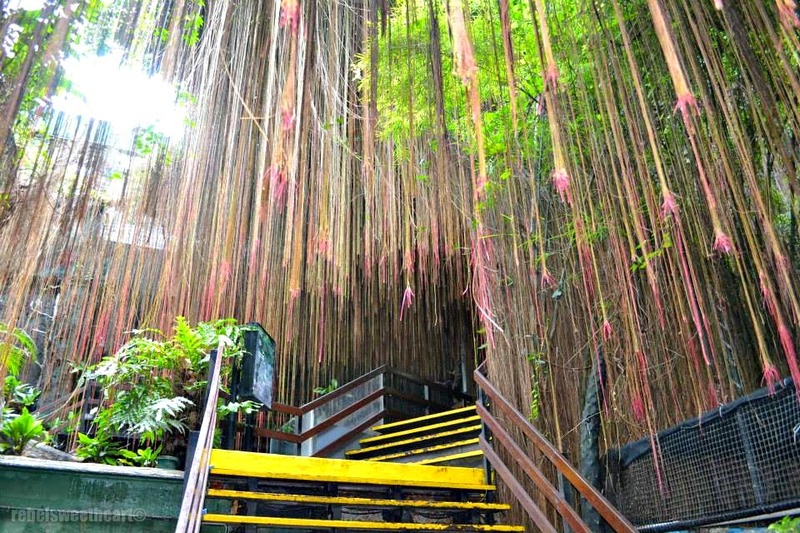 These trailing vines greet you as you make your way inside the Oceanarium. 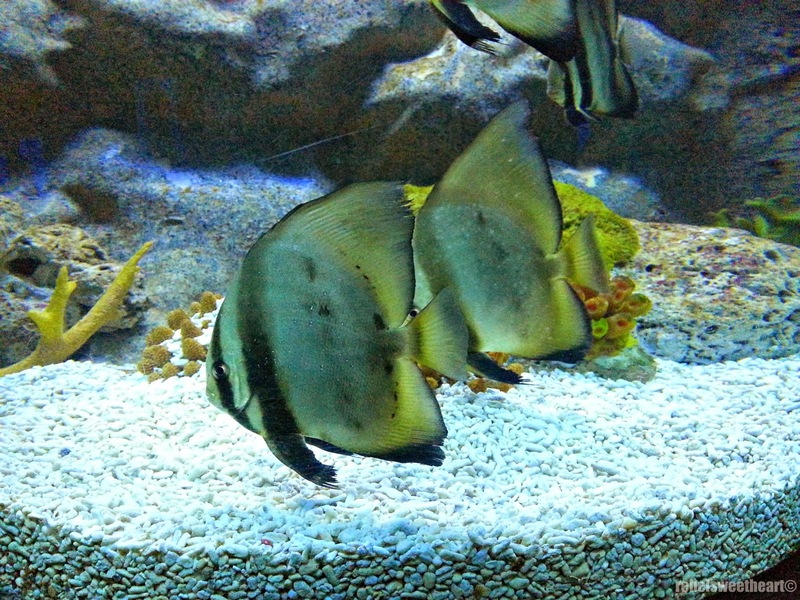 Home to 14,000 marine creatures from more than 200 species, the Oceanarium is a stunning underwater adventure, a walk-through of the depths of the ocean. At the heart of the Oceanarium is the main attraction - a 25 meter long, 220° curved walkway tunnel with a spectacular underwater view of amazing sea creatures swimming overhead. 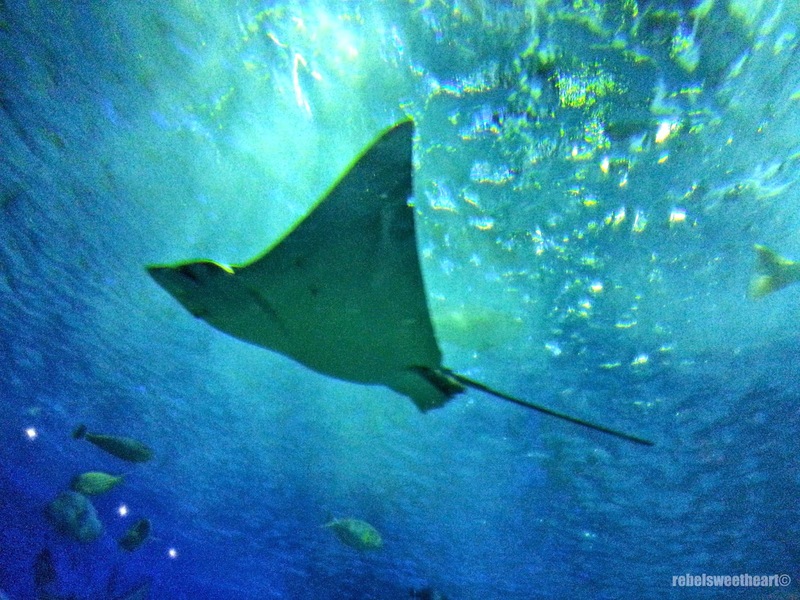 We were all in awe of these sea creatures, especially the sharks and the stingrays. The kids, on the other hand, loved the little fishes especially the ones that they were most familiar with - Nemo (clown fish), Dory (blue tang fish), and Sheldon (sea horse). We were supposed to watch the Penguin Talk Show afterwards, but decided to skip it after realizing that it's just an animated lecture with no live penguins. And after seeing the long queue at the Fish Spa, Mum decided to skip that as well, and go souvenir shopping instead. 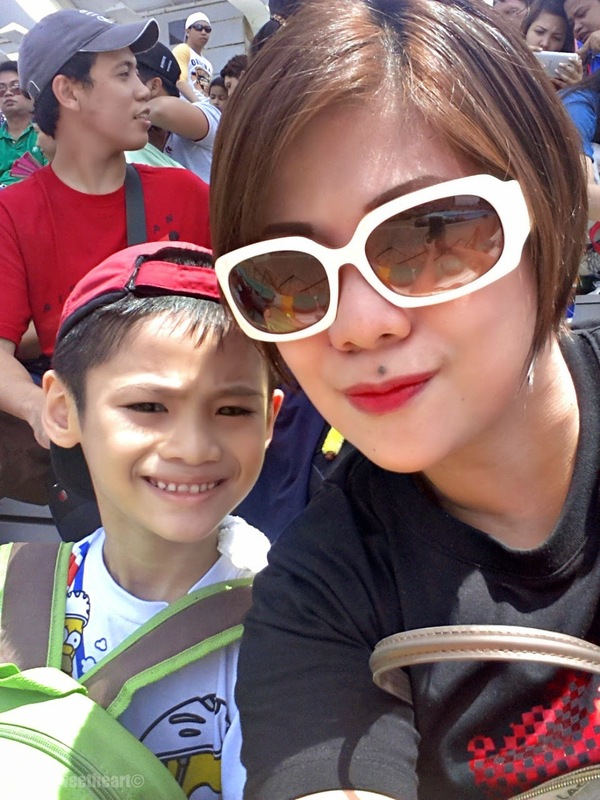 Duty Free Philippines at Manila Ocean Park. We went to the souvenir shop located at the second floor, where we bought plushies, tees, and fridge magnets. 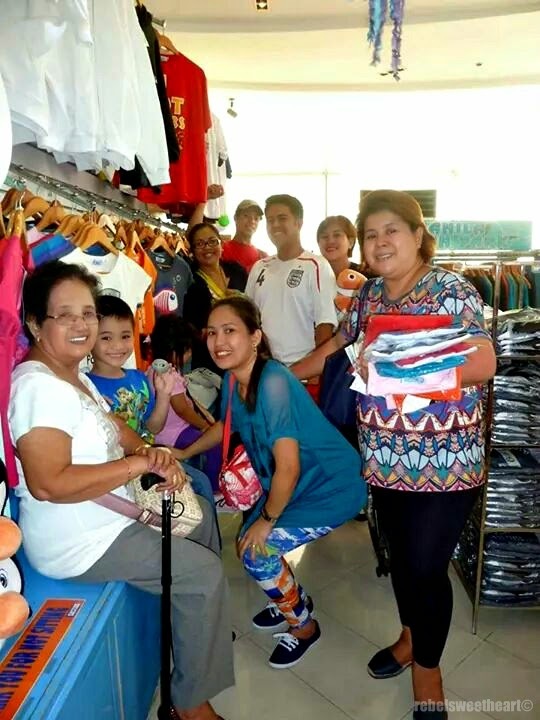 Their merchandise are reasonably priced, with tees ranging from Php 250 to Php 350, plush toys from Php 200 up, and fridge magnets for as low as Php 30. The first time I visited MOP was when it was still relatively new so there weren't as many attractions yet. In the end, because of that, I found it a little boring. At least in comparison to other aquariums I've visited abroad. Still, now that it's got more things to see and do then I think heading back would be a good idea so I can give it another chance! 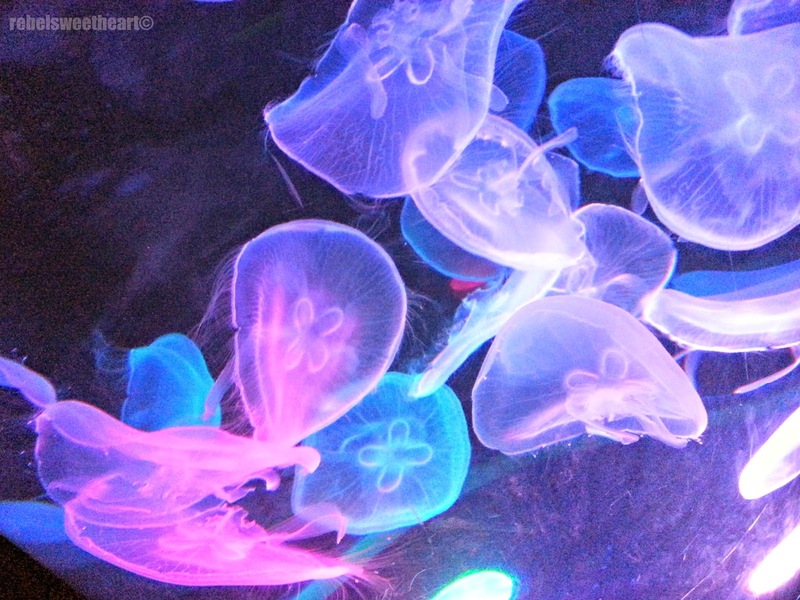 I love the vivid colors of the jellyfish!! Looks like a place our family would love too! What a wonderful way to spend a day with your family! I'm sure the kids had a blast and learned a lot as well. I do love this type of venue-and go as often as I am able. Looks like you all had a ton of fun! What fun for the whole family... Looks like an amazing place to go for the day, with tons to do and see. 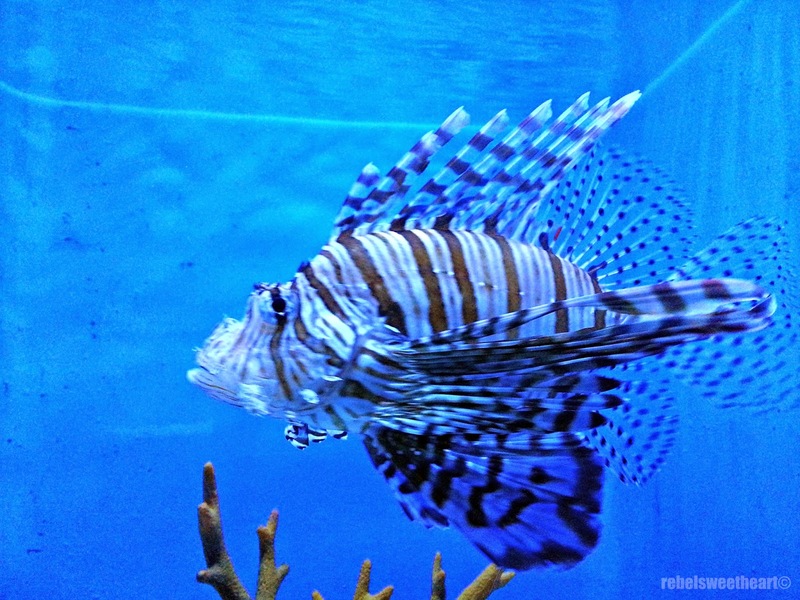 Especially love that lion fish, and I know my mother would like to see the jellyfish. This looks like a fun place to visit. I would love to see a show like the dolphins on day. I gave actually seen a stingray up close, I used to go fishing off the coast of north Carolina and caught a few. They are cool looking creatures as long as they don't sting you. what a fun family outing! both young and old seemed to have a good time! This looks like an amazing place. I love your pictures and the jelly fish are so beautiful. Thanks for sharing. 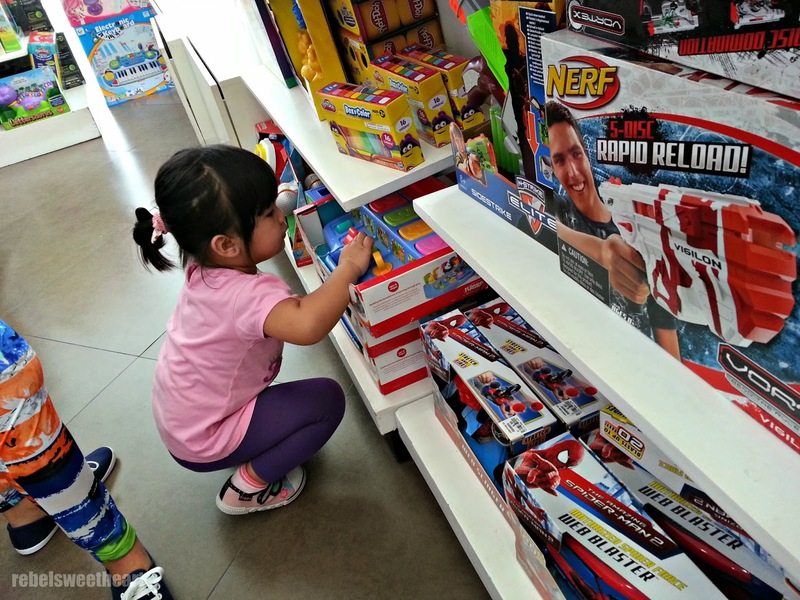 It is nice that as a family you can do this. Happy Birthdays all around! What a great way to celebrate them all at once. You got some awesome pics. What a lovely park! 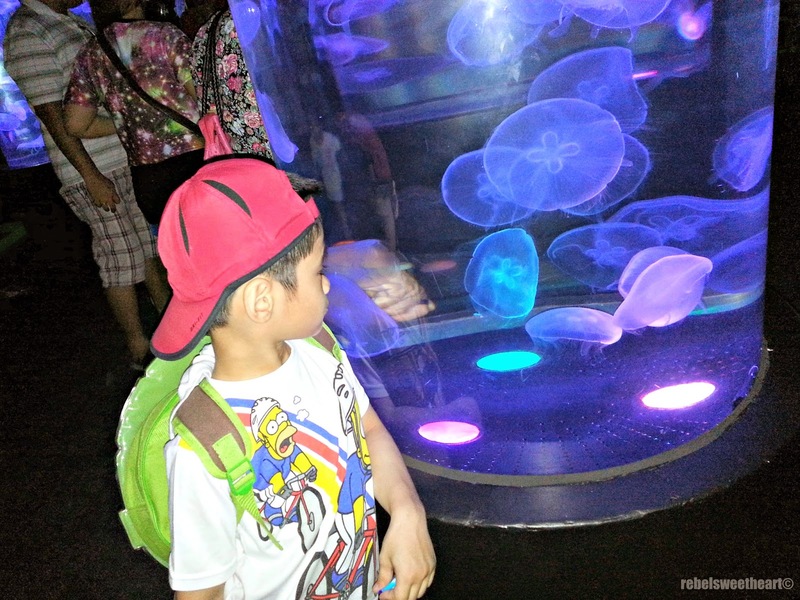 I would be totally fascinated by the tank of jelly fish too. They are mesmerizing and beautiful.